It has been said that you are the average of the five people you spend the most time with. Unfortunately many of our corporate work environments can be very stressful and when we are stressed we turn into very different people. We can become frustrated, angry and negative, which puts us in a non-productive state of mind. 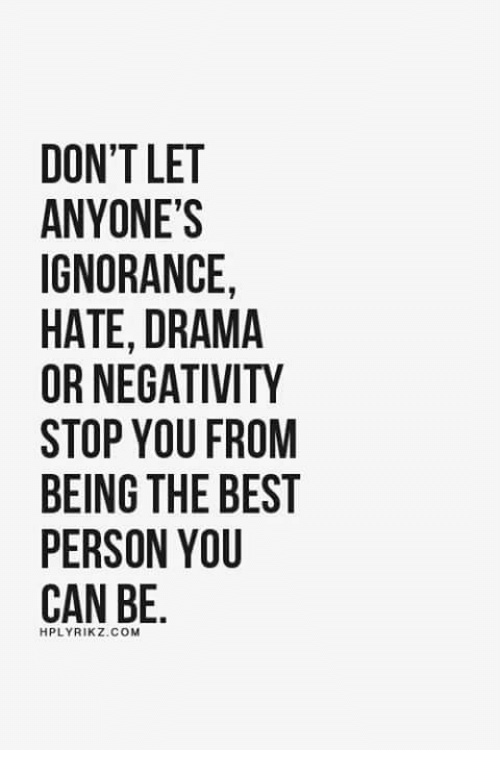 While you may have to deal with negative people on a fairly regular basis, you don’t have to be one of them. Be grateful for what you have instead of comparing yourself to others. Help others and create the wonderful feeling of self-satisfaction. Find something to look forward to (people, coffee, lunch). Set a goal (i.e. fitness, health, relationship, self-development, etc.) and make a plan on how to achieve it. Find great role models – who inspires you to become a better person? Spend time in nature – what do you see? what do you hear? what can you feel? People don’t have power over you. Stop being a victim of circumstance. If you work on your thought process, it will help you to shift your perspective. If you shift your perspective, you will create a better life experience. Isn’t this what you want? All the power to you!